The day I began reading this book, I sighted a beautiful rainbow in the morning sky. Like the one that Noah sighted at the beginning of the post-Atlantean epoch, it signaled for me good luck and the beginning of a time when I would be able to see clearly into the world again. 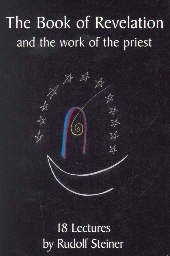 The ability to see clearly into the world, that's what I got out of this book of lectures given by Rudolf Steiner in September 1924 to the 57 priests and the executives of the Anthroposophical Society. Marie Steiner called this month of prodigious activity, "a ripe fruit and a concentrated seed force for the future that will provide spiritual fruition for ages yet to come." Like an invited guest said at the marriage at Cana, I would tell Steiner, "You have kept the best for last." Ancient Mysteries — physical (earth) — humans and gods met face to face and talked in a single, cosmic language. Transubstantiation came from observation of the positions of the stars (astrology). Semi-Ancient Mysteries — etheric (water) — gods withdrew from humans and sent down their forces. Transubstantiation came from "leavening agents" stored in ancient holy vessels. Semi-New Mysteries — astral (air) — the Word, intoned in incense, fills humans with ability to reach upwards to the forces of the divine world. New Mysteries — I (fire) — out of our individual "I" we are able to be filled with the "ancient, holy act of consecration" and with apocalyptic content. [page 32] We have now reached the pointer that will lead us straight into the depths of the Mysteries that are connected with the Book of Revelation: that the Transubstantiation in the first age is linked to experiences made with the physical body, in the second age to experiences made with the ether body, and in the third age to experiences made with the astral body. It will depend on you and on your inner experience of the working and weaving of the spirit in the world whether the Act of Consecration and whether the Book of Revelation will be taken hold of by the human 'I'. [page 35] . . . if what lived in the first, second, and third Mystery age can become for us a living inspirer for the fourth, and if we let the power of God's spirit work in our soul in the way that is once again possible today, then shall we experience that quantitatively there is not only one Revelation but as many Revelations as there are human 'I's devoted to God, speaking from individual priests to Christ, who is to be found anew through this movement for Christ renewal. The Greek letters alpha and omega appear prominently in Catholic churches and many others I presume. Till reading this book, I had always assumed that it referred to the church being the place of the first and the last things, as these are the first and last letters of the Greek alphabet. Steiner makes it clear that the alphabet is a condensed representation of the human being's progression through the entire evolution of humankind, from its beginning in the old Saturn age as wonderment and warmth (Alpha) to the Vulcan condition in which the whole world is united within the human (Omega). [ See Vulcan in the Spiritual Hierarchies Table from my ARJ review of Spiritual Beings in the Heavenly Bodies.] At the end of the Vulcan condition, the human being will be able say, "I am the Alpha and the Omega." [page 44] In the being who incarnated in Jesus through the Mystery of Golgotha we have — roughly half way through human evolution — a being in the world who is already at the stage in world evolution that the human being will have reached at the end of the Vulcan condition. We have a being as a god such as man will be as a human being at the end of the Vulcan condition. Does that mean "in that day we shall be as gods"? Yes, in the course of aeons of time, during which time the mineral kingdom will develop an "I", humans will have evolved to the level that we call "gods" today. Steiner cautions that, "The god does not become man." He tells us that for supersensible vision, "time is simultaneous reality." Just because one can see a future reality in which humans will be as we think of gods as being today, that does not mean that one is thereby making the gods out be humans. That would be as foolish as equating Alpha to Omega — there would then be no alphabet, no Mystery language, as the people in the time of the writer of the Book of Revelation understood it. They experienced, as it were, the sounds of speech filling themselves with spirit. [page 45] They knew that the sounds of speech are supersensible beings, that Alpha is the human being as a supersensible being at the beginning of his existence, that when you move from Alpha to Beta you move from human being to world, including the divine world, and that when you go through all the sounds of the alphabet to Omega you are taking into yourself the whole of the divine world. If you're thinking that surely can't be the case of our ABC's as we know them today, you would be right. Over time they have been trivialized and minimized to the point that the deep mystery have been squeezed out of them. [page 46] We must learn to sense what has happened. The sounds are there, but the gods are no longer in the sounds as far as human beings are concerned. The gods have departed from the sounds. Ahrimanic beings are now hidden in a demonic way in the sounds of our speech. . . If we cannot find our way back in this connection, then even through speech human beings will more and more fill themselves with ahrimanic powers. No longer can a sophisticated 21st Century person talk about reality outside of sense perceptions and mental images. Kant's agenda to disable our ability to talk about the "thing in itself" has wreaked havoc on many's ability to perceive the reality of their existence in the universe. If one were to attempt to wend one's way back to the power of words, Steiner tells us we would do well to begin reading and meditating on the Apocalypse of John. [page 48] People put Kantian interpretations on a rich world and forget entirely that the human beings exists in the midst of the universe. The intuitive element of the Word has shriveled in us into impoverished mental images; the intuitive element of the Word is the second thing emphasized by John, testified to by John. The apocalyptist presents the appearance of the Christ to us as what we might call a perception of the supersensible. Perhaps we should go back to the original Greek to read the Gospel, some say. Steiner calls that a folly because we no longer have in us what the ancient Greeks had in them that allowed the Gospel to resonate inside them. Compared to them, we are like sacks of inert flour when we listen or speak. [page 49] That was not so for the Greeks. The consciousness of the Greek vibrated when he listened; he came alive inwardly, and out of this liveliness he spoke. The words he heard and those which he spoke were living bodies, they were alive for him. In the letters to the seven congregations, we find seven ways to approach Christ. [page 57] In those days people saw the Christ as an appearance of the mighty Sun Being. But it was up to the congregation at Ephesus, the congregation at Sardis, the congregation at Thyatira and so on to strive towards him each in its own way, in accordance with its own cultus. Each has a different nuance in the way it approaches him. Everywhere there are intimations of this being acknowledged. Why seven congregations? Because each one is clearly distinguished from the other, so that if an eighth were described, it would take on characteristics of one of the other seven. In a similar fashion, Steiner tells us, there were only twelve knights of the Round Table because there was one for each of the twelve modes of perception. 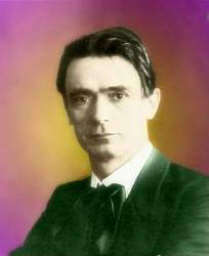 (Rudolf Steiner describes the human being having twelve senses instead of the usual five.) A thirteenth knight would have to resemble one of the other twelve. (Page 63) Everywhere in the Book of Revelation we find an attention to numbers, and Steiner repeatedly takes time to tell the 57 priests and through him, us readers, of the importance ascribed to numbers. [page 65] If human beings want to work together on the earth, there must be twelve. If human communities want to work together, there must be seven; the eighth would be a repetition of one of the seven. But if, sub specie aeternitatis, those work together who have made themselves spiritual, who represent a stage of human evolution, there must be twenty-four, and these are the four and twenty elders. In the seven congregations we find the seven post-Atlantean cultural ages laid out. Ephesus contained impulses of the first post-Atlantean cultural epoch (India); Smyrna, the ancient Persian culture; Pergamos, hints of the Hermes mystery of the Egypto-Chaldean epoch; and Thyatira, the fourth or Greco-Roman cultural epoch, during which the Mystery of Golgotha took place. [page 68] In his letter to the congregation at Sardis John points to the future. The future to which he was pointing, which was there like a seed in Sardis, is our time now; it is the time in which we are now living. In the seven seals, the seven cultural epochs are hinted at as well. For example, with the opening of the fourth seal, the pale horse with Death astride it arrives. This points to the fourth cultural epoch when, in the midst of the Greco-Roman age, humanity would have gotten irreparably lost in the throes of death but for the timely arrival of the deed on Golgotha. (Page 69) When I read Thomas Kuhn's Structure of Scientific Revolutions (1962, U. of Chicago Press), I came to understand that when a dramatic paradigmatic change occurs, we can only speak of the new paradigm in the words of the former paradigm for some time, until the new paradigm becomes assimilated into our very thinking and we create new words with which to express this new thinking. So, what Steiner tells us in the next passage should not surprise us. [page 70] People today on the whole are not yet clothed in the garments of the new consciousness; for the most part their consciousness is still that of the fourth post-Atlantean age. Our civilization as a whole is the cause of this. . . . The whole of our grammar school education still has the fourth post-Atlantean age working in it. In the 75 years since Steiner's time, we have made meager progress away from the Greco-Roman age's consciousness. One indication of our progress is that the use of Latin for scholarly works has completely disappeared outside of the Roman Catholic Church, and the use of Latin inside the rites of the Church has also disappeared. If you have read all of Carlos Castaneda's fine books about Don Juan Matus, a Yaqui Indian sorcerer, you will have encountered the place where Don Juan suggests to Carlos that he carry death around with him on one shoulder, so that if ever he feels hesitant about taking some action with a good intention, he can look over to his shoulder and be reminded that death is ever present with him. Carlos could have well written that material about Don Juan after reading the following passages by Steiner. [page 71] An awareness of being accompanied by death is something that will become more and more prevalent in the fifth post-Atlantean age. . . . We shall learn to feel how a good intention that we have been too weak to carry out begins to consume our life, begins to diminish our moral weight. We shall learn to feel how such a thing makes us more of a moral lightweight, more insignificant for the universe. . . . In a similar way people will begin to feel how certain intellectual activities consume them, like a fire in the soul consuming them. Such things are indeed already happening even on a grand scale, but hitherto they have not yet been sensed for what they are. [page 74 — 75] Let us now think about the time when the fifth post-Atlantean age will have passed. During the course of this age human beings will have changed their consciousness in a way that will enable them to see how death works on them. . . . They will have death as their constant companion. Death will be with them naturally . . . [they will] have death as a good friend and constant companion always by [their] side. All around us are newspapers, news broadcasts, and every sort of communication you can imagine about conflicts in the Middle East, hurricanes in the Gulf, earthquakes in Turkey, volcano eruptions in Japan, and all of these things are visible material world happenings that follow from equally real events and processes occurring in the spiritual world. In Jane Roberts' Seth Book, The Individual and the Nature of Mass Events, she discussed the tensions that exist in various communities along the coast that act as steering currents for the hurricanes. Since reading that work some twenty plus years ago, I've lived in the coastal region of Louisiana and have seen how carefully guided hurricanes are into areas that need a little shaking up. I think of the beautiful changes on the Gulf Coast of Mississippi following the devastation of Hurricane Camille. Did anyone send her a Thank You note for her assistance? Or to Hurricane Andrew from the residents of the rebuilt Homestead in Florida? Hugo in South Carolina? Here's Steiner telling us about how humans are in the fifth post-Atlantean age and will progress in the coming sixth age. [page 75 — 76] Because human beings do not yet see death, they only notice an eruption of Vesuvius, say, or a strong earthquake measured by a seismograph. But they do not notice the tension in the etheric sphere that arises for example when an important genius lives or is born in a particular place. They equally do not see that mighty working and weaving of spirits of which the stars and their constellations are merely an outward sign. To see all these things in some way is what human beings can expect in the sixth post-Atlantean age. . . . Human beings in different stages of consciousness do not see the world in the same way. In other words, we all see the world through our evolution of consciousness glasses and in every age we receive a new set of glasses. Human beings who are initiated can put on the glasses of different evolutionary ages; they can see the world in the way of, say, humans of the sixth post-Atlantean age. With those glasses in place, they are able to see, for example, the etheric tensions present in the world around us today. Steiner points to the similarity of the first four letters that are opened in the Apocalypse — they each contain reference to a different colored horse, a white, a red, a black, and then a pale horse. When the fifth seal is opened there is no reference to a horse. This he takes as an indication of a dramatic change in our age in which we are become a transformed congregation of Sardis. [page 76] This new, transformed congregation of Sardis will have to understand that there is little value in knowing plants, animals and minerals unless one can find the stars working in every one of them. In the spiritual sense the stars must fall down from the heavens, and this can already be perceived. Those things that the initiate can perceive directly the rest of humanity can only speak of in metaphors and songs, like "a stardust memory" or "stars fell on Alabama." Steiner tells us that the stardust memory that we perceive "beside a garden wall" comes directly from the fragrance of the flowers, the cosmic fragrance always present that is inhaled by plants with their flowers and exhaled for us to inhale. [page 78] Plants that smell nice perceive the cosmic fragrances that come from Venus, Mercury, or Mars. Ferula fetida perceives the smell of Saturn and passes it on in the asafetida derived from it. We are also living in the seventh age of archangel regency, the age of Michael which began in 1879. We are nearing the middle of this age, an age in which we find that the Archangel Michael is up for promotion to Archai upon completion of this age. He will be replaced by the Guardian Angel of Buddha who has earned a promotion by assisting his charge to escape the wheel of incarnation. Steiner clearly states on page 87 that, "A seventh age . . . signifies an end stage." He goes on to relate the seven ages of the archangelic regency to the seven congregations and planets. Every where we see our understanding of the power of numbers grow as we read Steiner's exposition of the relationship of numbers to the world. One number relationship caught my attention on page 93, "Whenever there is a transition from a four to a five there is the peculiar situation of the five always getting into opposition to the four." He tells us that initiates would say after their lessons, "Now I know the number of evil, it is the number five." As I read this passage in Steiner what came to mind immediately was my nuclear family growing up: we were four boys until I was almost ten years old. We all got along pretty well, and even so today. But the fifth child, a girl, has constantly stood in opposition to the rest of us since she was very young. My wife and I each had four children in our first marriages, and never considered having more — looking back now, having our eight children in two different marriages allowed us to avoid the problem of the fifth child. [page 93 — 94] Wherever the number five is at work in the universe we are always up against the world of evil. The five rebels against the four, and in consequence great decisions have to be taken which culminates in the transition up into the six, coming about in either a good way or a bad way. Again in my nuclear family, the problem of the five was solved by my mother getting pregnant when she was 44, and almost losing the baby prematurely on the way to hospital. The baby was healthy, however, and was given the name Kevin Michael. He provided a counter-balance for his sister and shielded his older brothers from her while he was growing up by keeping her too busy to bother us. I wasn't at home at the time, but I remember many complaints from her to Mom about Kevin Michael. It is in this book of Steiner's lectures that he talks about the crucial years of 333, 666, and 1998 A. D. in the life of humanity. In the year 333 A. D. the "I" entered the intellectual or mind soul and suddenly humans began debating the true nature of Christ. Athanasius saw Christ directly as the divine Sun Spirit. Arius, on the other hand, could not see a Christ as a divine being. Athanasius's view won at first, but later his view moved to the back and Arius's view took over, as people began to have an "aversion to imagining Christ as a cosmic being." (Page 98) This view culminated in the trichotomy of body, soul, and spirit being declared a heresy by the 8th Council of Constantinople in 869 A. D. From this point on, humans began to debate the Transubstantiation in a very serious way, a way that meant death for one whose views came down on the wrong side. Steiner's view of Transubstantiation is supersensible, and he relates it to karmic reality. [page 106] Look on the one hand at the human being and see how his karma, his destiny develops as the consequence of earlier lives on earth; it does this according to certain laws that exist, but they are not the laws of nature. And now look towards the altar where we see that the Transubstantiation is also not externally visible, for it takes place in the physical substances as a spiritual reality. [page 117- 118] During the first 666, dear friends, Sorat was still hidden away inside the evolutionary process of events; he was not seen in any external form, for he lived within the deeds of Arabism, and initiates were able to see him. When the second 666 years had passed he showed himself in the thinking and feeling of the tortured Templars. And before this century is out he will show himself by making his appearance in many humans as the being by whom they are possessed. Steiner points out that the old Jerusalem was built from the substance of the Earth, and the new Jerusalem will built from the substances of the Heaven. Here both Steiner and Lazarus-John, the writer of the Apocalypse, are talking about the human being metaphorically as if it were the city of Jerusalem. The substances we eat from the earth to build our body only go to the nerves and senses. The metabolism and limbs are built from refined substances from the air or from "heaven." The rhythmic system provides the balance between the two. Where are we heading in our remaining time on Earth as we proceed through the sixth and seventh great epochs? [page 133] The growth of the New Jerusalem has been ongoing since the Mystery of Golgotha. When the human being has entirely fulfilled his time on earth he will have reached the stage in which he not only weaves the heavenly substance into his own body through his senses, but in which he extends the heavenly substance through what we call spiritual knowledge and art into what will be the external city, the further extension of his body in the sense I have been talking about. The Old Jerusalem was built from below upwards; the New Jerusalem will be built from above downwards. There is one name we each have of which it may be said that no one knows this name but ourselves. This is a name that is relatively new in the history of languages, as there are some languages that do not have this name in them, using in its stead various sorts of conjugations and declensions to indicate this name. What is this name that "no man knows" but me about myself? That name is the single letter word "I" in English: when I use this name, I can only use it to refer to myself. Steiner points out on page 139 that the German word for "I" which is "ich" contains the initials of Christ in the form of Iesus Christus in Latin. In English the letter "I" represents the first initial of Iesus and is capitalized as well. 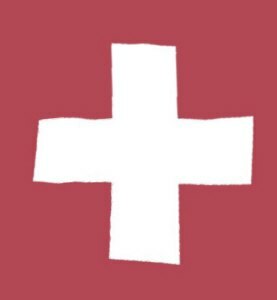 It is the same as the I that appears in the acronym INRI on the top of the crucifix which stands for Iesus Nazareth Rex Iuden or Jesus of Nazareth, King of the Jews. Now read Rev 19:12 where Lazarus-John writes from the Isle of Patmos, "His eyes were as a flame of fire, and on his head were many crowns; and he had a name written, that no man knew, but he himself." Steiner makes it clear that this verse refers to Christ Jesus. [page 140] Let us think of this quite graphically: He bears a name that he alone understands. How can we participate in this name? This name must gain some meaning for us, it must be able to live in us. How can this come about? When the being who understands this name becomes one with our own self, enters into our own self, then within us this being will understand the name and with him we shall understand it too, for then with him in us we shall always understand it too, for then with him in us we shall always be conscious of 'Christ in us'. Now read the very next verse Rev 19:13: "And he was clothed in a vesture dipped in blood: and his name was called the Word of God." Can there be any doubt that the person referred to is Christ Jesus in a garment sprinkled with the blood of Golgotha? John has shown us Christ once through his "I", once through his garment, and in the final form in Rev 19:16, as King of Kings, Lord of Lords, working his will within us humans on Earth. Steiner tells us that a "lord" is someone "chosen to point the direction for another." We have had lords on Earth in many forms historically. How much longer will we require others to command us what to do? [page 142] They will be needed only until the moment when Christ, with the name none but he understands, shall dwell within the human being. Then every human being will be able to follow Christ in his own Being, in his own soul. Then everyone will strive to realize that in himself which desires to realize the will of the human being out of inner love. Then will the Lord of Lords, the King of Kings live in each individual. . . . Seen spiritually, this is the time in which we ourselves are now living. The fact that we are living in this time is merely disguised by the way human beings continue to live in their old ways, denying as much as they can in every field the fact that Christ now dwells in them. What is the "downfall of Babylon" conjured up by John in Rev 18:2? Steiner says it includes "everything that takes human beings down below what is actually their spiritual standard." That we are only truly human when we achieve a harmony of the spiritual and material worlds within ourselves, in his words, "when the material does not rise up in emotions that are not under the control of the spirit." In other words, when one has learn to trace one's own doyles, the bodily substrate of emotions, the events in the material world will no longer cause one's emotions to rise up, and the possibility for harmony will have been achieved in the microcosm we know as the human being. How does this harmony arising from two disharmonious extremes show itself in the macrocosm, as surely it must? [page 154] In this chapter of the Book of Revelation (Rev. 19) the ahrimanic beings - Babylon — are down below, and the angels above who rejoice at the fall of Babylon are luciferic. It is the voice of Lucifer that gives tongue up above as a rejoicing of angels. The Christ-Principle always hold the balance between these two. Thus as humans, we are only empowered to achieve that balance in ourselves by the indwelling in us of the Christ spirit who holds the balance in the greater cosmos outside of us. In the ancient Greek plays there were hints at female goddesses had existed during pre-historical times. Artifacts representing a Mother God with a bulging belly have been found in Europe and other places around the Earth. What happened to those female goddesses? Why did they disappear? [page 171 — 172] Before seeing the birth of Christ as a male being in the sun in the middle of the Atlantean period, the priests saw a female being in the sun. The important change that took place in the middle of the Atlantean period is that before the middle of that period the cosmic female was seen in the spiritual aura of the sun, 'the woman clothed with the sun giving birth to a male child'. . . . Those who saw and understood such a thing said: For the heavens that is the birth of Christ, for us it is the birth of our 'I'. The woman clothed with the sun was standing over the dragon, which represented that the astral world of the earlier period was now below her feet, that humans were now able to control their passions and emotions from out of their individual 'I' — through an act of will. Here at the advent of the 21st Century, we have a new science, doyletics, that allows each of us to stand upon the dragon of our individual emotions and feelings and apply our will to their ultimate control in complete volition and consciousness, in other words, in freedom and light. [page 179] The sixth trumpet began to sound his trumpet at the beginning of the 1840s, and he will continue to sound it until . . . the end of the twentieth century, when the trumpet of the seventh angel will begin to sound. I suppose by examining Steiner's books in these detailed reviews, I am helping to sound the seventh trumpet, thus fulfilling my boyhood ambition in a way I could not imagine directly, so I was attracted to the trumpet as a musical instrument, taking the metaphor as a reality as growing children are apt to do. [page 197] In the countenance up above, born of the clouds, lie the thoughts that belong to the spirit land; in the rainbow lies the human soul's world of feeling that belongs to the soul world; in the fiery feet that have received their strength from the ocean-covered earth lies what is contained in the human being's body which belongs together with the physical world. Where are these people congregated on the Earth? Steiner tells us to imagine viewing the globe from a great height and seeing the "mighty angel" with its head in the clouds over Asia and Russia, a rainbow over its chest in Europe and with one fiery foot in the Pacific off the North American coast and the other one resting atop the Andes mountain range in South America. In those areas we will find the various types of people living for the most part. He even notes that arranging the cloud people of the Czech republic into one country with the rainbow people or Slovaks is a great mistake, one that was finally corrected some sixty years later when they became separate countries again. What about the "phials of wrath" of Rev 16? We find that these phials are pouring out their wrath to destroy the material constructs arising during this age. One of the curious habits of human beings is worship the status quo and to bemoan its destruction in any form, and only later to learn of the salubrious effects of the destruction that were not even glimpsed beforehand. Steiner gives us a glimpse of this beforehand, "In the sphere of illusion in human beings divine love will appear in the form of divine wrath." In the catastrophes of Atlantis, humans were exercising their influence. In natural catastrophes today, such as earthquakes, tornadoes, and hurricanes, humans are exercising their influence. When I read Jane Roberts' Seth Book, The Individual and the Nature of Mass Events, some twenty years ago, I first stumbled upon the argument that catastrophes perform cleansing operations for the humans who have unconsciously but very really steered the catastrophes their way. On a smaller scale these catastrophes are divine love on the spiritual level appearing as divine wrath on a material level. [page 244, 245] When you come to a passage in the Book of Revelation depicting something that seems paradoxical to you, you should stop reading and begin to meditate. Such passages are the places where you can grow in spirituality by absorbing and working inwardly on something that you cannot comprehend with your intellect. . . . the seeming paradoxes of the Book of Revelation are the very thing that helps us make the transition from the merely intellectual processes of soul life — which people are so accustomed — into spiritual processes.